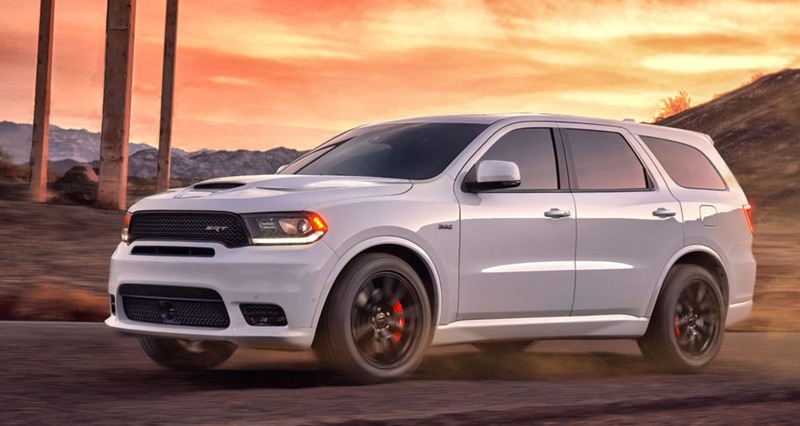 A wide range of new items and upgrades have been added to the 2019 Dodge Durango. This incredible model comes with increased fuel efficiency, added refinement, and an exceptional performance capability. Some of the newest available features would include 20-inch wheels in Satin Carbon, Matte Vapor, or Brass Monkey finish, an integrated trailer brake, a 19 speaker Harman Kardon system, second-row captain's chairs, or even a performance hood with center air inlet ducts and two heat extractors! There are also some incredible new exterior paint options including Reactor Blue, F8 Green, and Destroyer Gray. These are on top of the already available Billet, Granite, White Knuckle, and In-Violet options! What is available on the 2019 model? 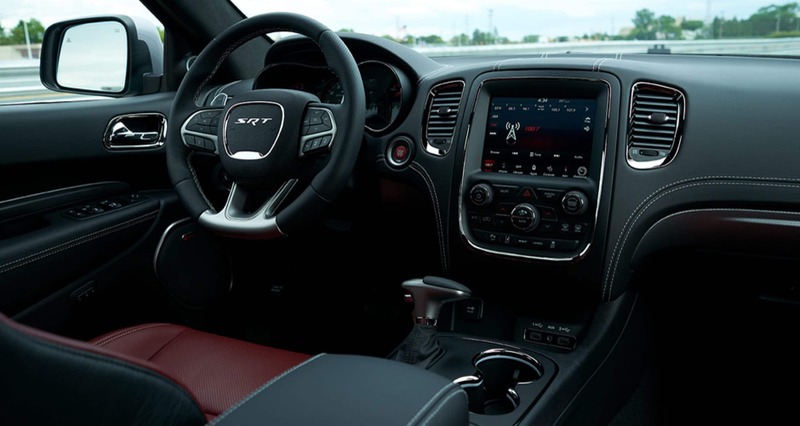 The SXT trim starts the 2019 model year off with features like automatic headlights, halogen headlamps, heated side mirrors, 18-inch all-season low-rolling-resistance tires, covered cargo storage, leather-wrapped steering wheel, a tilt and telescoping steering wheel, and a Uconnect 7. The GT trim then brings in some extras like a performance grille design, LED fog lights, LED daytime running lights, a remote start system, 20-inch wheels, an auto-dimming rearview mirror, leather suede black seating options, a power tilt and telescoping steering wheel, SiriusXM radio, and a dual remote USB charging port. The R/T trim then includes the center air intake and dual heat extractors, auto high beam control, power folding side mirrors, rain-sensing wipers, a memory system, heated seats, and a heated steering wheel. The Citadel trim then pops in some features like bright chrome trim with a premium accent, projector fog lights, auto-dimming side mirrors, a sunroof, and fold-and-tumble second-row captain's chairs. 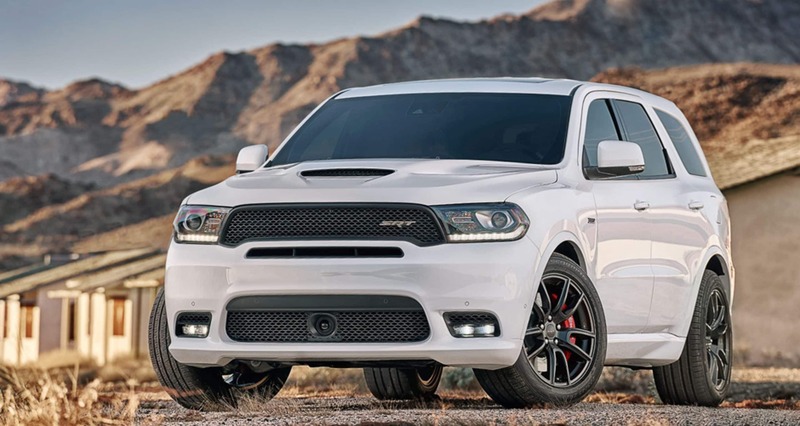 The final trim level, the SRT, comes out with top-notch features like the automatic headlight leveling system, all season tires, a leather-wrapped armrest, performance Nappa and suede black seats with perforated inserts, ventilated front seats, and so much more. What comes under the hood? Three engine options are available. The first engine is standard on the SXT, GT, and the Citadel trims. This first engine is a 3.6-liter Pentastar V6. This is then paired with a TorqueFlite eight-speed automatic transmission and variable valve timing. The second engine is a 5.7-liter HEMI V8, standard on the R/T and optional for the Citadel. This is paired with a TorqueFlite eight-speed automatic transmission with fuel saver technology and variable valve timing. The third engine can be found only on the SRT. This 6.4-liter Hemi V8 engine is paired perfectly with both fuel saver technology and variable valve timing. 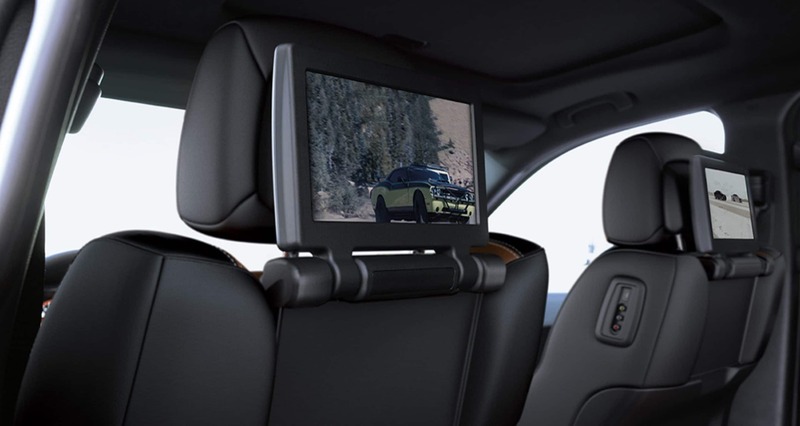 Available and standard safety features on the 2019 Dodge Durango would include active head restraints, forward collision warning, electronic roll mitigation, hill start assist, blind spot monitoring, adaptive cruise control, advanced brake assist, a universal garage door opener, rain brake support, ready alert braking, keyless enter and go, a parking assist system, a security alarm, trailer sway control, a backup camera, and so much more. 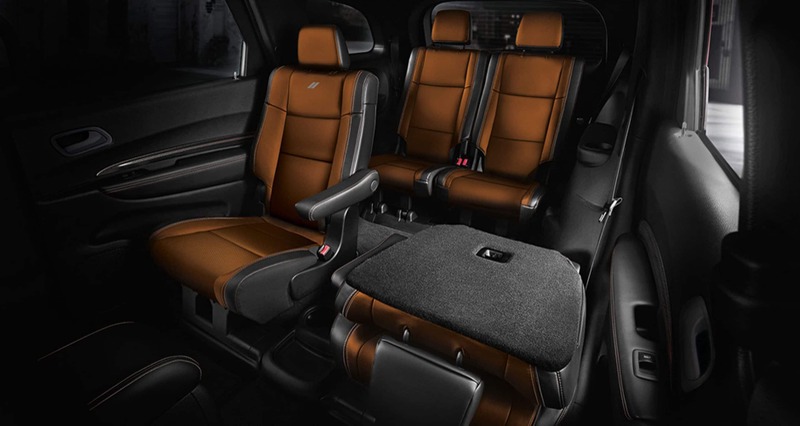 The 2019 Dodge Durango is incredible for those looking to find the perfect SUV to carry all of their needed cargo and passengers. With all the new features you are sure to find yourself driving with ease and comfort, with some additional features for entertainment too!